If you had any doubts about who would get the honor of being Republican Bad Boy for the Democrats this fall, set your mind at ease: Minority Leader John Boehner has the job. President Obama is teeing off on him like a new Titleist. Dems on the Hill, fearful of the fall of House Speaker Nancy Pelosi should the Republicans take a majority, are rallying around the attack flag. And the Democratic National Committee is launching a commercial this week that suggests he could be the bane of millions of jobless Americans. 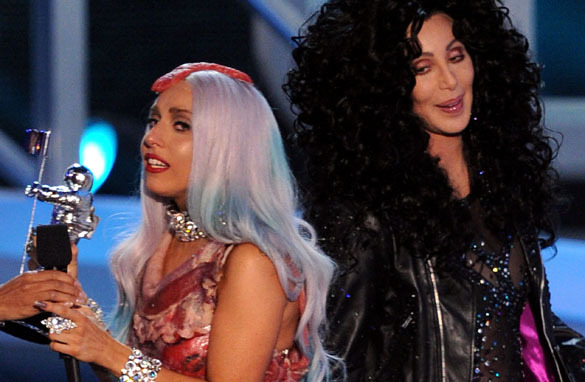 For many Democrats, this is enough red meat to make a gown for Lady Gaga. For many Republicans, it is another effort to push the spotlight away from the Democrats’ economic policies at a difficult time. So who is right? Has former House Speaker Newt Gingrich gone too far? Comments he made this past weekend about President Obama have some of his fellow conservatives crying foul. Among other things, Gingrich accused Obama of having a “Kenyan, anti-colonial” agenda and worldview. Evening Buzz: Is Gingrich fueling birther beliefs? He made these remarks while agreeing with an article in Forbes by fellow conservative Dinesh D’Souza. But do the claims in the article and the comments by Gingrich stand up to the facts? Are Gingrich and D’Souza simply trying to fan the birther movement for political gain? Are any Republicans defending them? 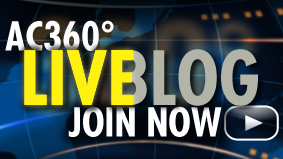 Tonight on 360, we’ll look at all of that, plus the White House reaction. We’ll also hear from Democratic strategist Paul Begala and conservative commentator and former speechwriter David Frum. Filmmaker Michael Moore has jumped into the battle over the Islamic center and mosque planned near Ground Zero. Over the weekend, he wrote that he wants the center to be built directly on Ground Zero, instead of two blocks away. Did he really mean it? What point is he trying to make? Anderson interviews Moore tonight. There’s new video of the horrific natural gas explosion that killed at least four people in San Bruno, California. Some of the images were recorded by surveillance cameras as the blast happened. An amateur video taken moments after the blast shows the intensity of the inferno that destroyed dozens of homes. There’s also new information tonight that the utility at the center of the investigation, Pacific Gas and Electric, was warned about risks posed by an aging gas line. Keeping them honest, Ted Rowlands investigates. We’re also launching a new segment tonight called Political Theatre. Think of it as a fact-check of the most outrageous political ads airing in this overheated primary season. Do the bold claims and accusations stand up to reality? We’re cranking up our Keeping-Them-Honest-ometer. "Can’t read my, can’t read my. No he can’t read my hanger steak." "Obviously this kid misunderstood the director when he told her to show a little more flesh." 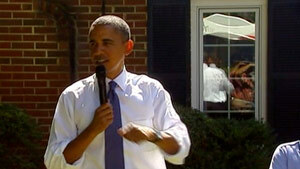 President Obama talked to a small group Monday outside the home of a family in Fairfax, Virginia. Fairfax, Virginia (CNN) - President Barack Obama lashed out at congressional Republicans again on Monday, telling a group of northern Virginia residents that a GOP push to extend the Bush-era tax cuts for voters making over $250,000 is unaffordable. His administration is "in this wrestling match" with the GOP leadership over whether to extend the 2001 and 2003 tax cutes for the richest Americans, Obama said. Doing so would cost another $700 billion, "and we just can't afford it," he declared - a slap at Republican cries for fiscal responsibility. The president made his remarks during an appearance at a private home in the Washington suburbs of Fairfax County. He appeared with, among others, Virginia Rep. Gerry Connolly, a first-term Democrat in the midst of a tough re-election fight. Democratic congressional leaders agree with Obama that tax relief should be extended only to those making $250,000 or less, but Republicans have argued that taxes shouldn't be raised on anyone - including the wealthy - while the economy is weak. San Bruno, California (CNN) - California utility Pacific Gas and Electric will set aside up to $100 million to help rebuild parts of the San Francisco suburb ravaged by a deadly gas explosion last week, the company's president said Monday. Tonight, AC360° debuts our new Political Theater segment, employing our very own KTH-O-Meter (that’s KTH for Keeping Them Honest). Our correspondent Tom Foreman will be fact checking a new ad out Tuesday from the Democratic National Committee about House Minority Leader John Boehner’s economic policies. “Boehner has a different plan. Take a look at the ad and the claims it makes and then render your own verdict in the comments section below. You have 4 choices: “Right on,” “It’s a stretch,” “Tall tale,” or “Big fat lie.” Be brief but please give us the evidence in support of your verdict. And two more things: CNN’s comment policy applies and be responsive to our request for help; only submit comments that will help us fact check the ad. Washington (CNN) – From competitive congressional contests to high profile appearances by potential presidential candidates, over the next five days we will see the 2010 primary season come to a close and perhaps get greater insight into who may run for the Republican presidential nomination in 2012. * Tuesday: Seven states and the District of Columbia hold primaries with three of the states and the nation's capital of particular interest to me. In New Hampshire, there is a crowded Republican battle for the Senate nomination with the GOP establishment standing behind Kelly Ayotte and the powerful publisher of the New Hampshire Union Leader backing Ovide Lamontagne. There is also a competitive Republican for a House seat. Delaware pits the centrist-Rep. Mike Castle against Tea Party favorite Christine O'Donnell. Embattled New York City Rep. Charlie Rangel faces the voters after being accused of violating congressional ethics rules. And in the D.C. Mayor Adrian Fenty is facing a difficult re-election against Council Chairman Vincent Gray. (CNN) – White House Press Secretary Robert Gibbs says he doesn't have the slightest idea what Newt Gingrich is talking about. Gibbs' comments come a day after the former House Speaker told the National Review that President Obama follows a "Kenyan, anti-colonial" worldview that in turn supports his policy positions on a range of issues. "I don't even have – quite frankly – the slightest idea what he's talking about," an amused Gibbs told ABC News Monday morning. "I think Newt Gingrich knows that he's trying to appeal to the fringe of people that don't believe the president was born in this country." "You would normally expect better from somebody who held the position of speaker of the House," Gibbs added. "But, look, it's political season. And most people'll say anything. And Newt Gingrich does that … on a regular basis." In his comments to the National Review – published on the conservative publication's Web site over the weekend – Gingrich also said Obama had conned his way into the Oval Office by painting himself as a mainstream American.